A double award winning suspense novel. I am having a wash at the sink when I feel the waters breaking. Edwin left me some sandwiches with my breakfast tray, and so I know he has gone to work. I quell a rising panic and sit on the toilet until the rush of water has passed. I finish washing and put my nightdress back on instead of day clothing. Within a short time the first contractions begin. I relax upon the bed because it seems that the pains are within my capabilities to endure. I can feel my abdomen tightening with each contraction, and the baby kicking, eager to get out of its prison. I feel like telling it to stay in there; the prison it is coming into is not much improved on the one it is leaving. The pains increase. I have no way of measuring time, and so have no idea how long I have been in labour. I am hungry, but eschew the sandwiches wrapped in cling film. From what I have seen of women in labour, whatever they have eaten tends to come back up again. I stand up and hope that gravity will aid the baby’s expulsion from my womb. I start to pace the floor, stopping to let each contraction take its course. I can walk nine steps before I have to turn around and go the other way. I try not to think how two of us will cope in such a tiny space. The labour drags on interminably. I sip water to stay hydrated. The pains are making me sweat, and my nightdress is soaking wet. I am tired with all the pacing, and focus on placing the plastic sheeting over the duvet. I cover the sheet with towels, and lay on my side on the bed next to the scissors and string. The pain makes me want to cry, but I need to endure silently and not panic. I must be in control of my emotions in order to bring Liam’s baby safely into the world. The focusing on an object does not work. I smile wryly to myself and wonder how many times I told labouring women to do the same. It did not seem to work for them either. Finally I scream at the cold concrete walls, efficient as always at dulling any sound. Nobody comes to my aid. At last I feel an urge to open my bowels, and I know this is the last phase of childbirth. I brace my back against the bedhead, grab my knees, and push with all my might. My hand can feel the baby’s head presenting in the birth canal. I wait for another contraction and push again. I scream with pain as another contraction tears through my body, and give another push that threatens to almost stop my heart. The shoulders are out. One last push and I have my baby girl. Her lungs are wonderfully efficient, and she turns from purple to pink. She is alive. My ordeal is almost over. All that is left is to massage the fundus to encourage it to contract and expel the placenta. One last contraction and push, and the placenta lies on the plastic sheet. When the umbilical cord stops pulsing I tie it off with string close to the baby, and then a few inches further down, and then cut it in the middle of the tied section with the scissors. My baby is a separate entity; there are now two of us in prison. Stevie started to write when she was about 11. However, she only started publishing novels in her fifties after living through many experiences, and finally finding the time to write about them when her children flew the nest. 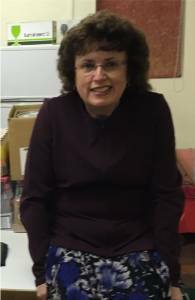 As from April 2015 she has been a full time writer, enjoying the opportunity to create novels focusing on peculiar subjects which are not often written about. 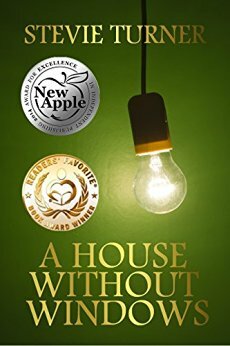 Stevie won a New Apple Book Award for 2014 in the Suspense/Thriller category for her third novel 'A House Without Windows'. This book has also won a gold award from Readers' Favorite. Her seventh novel 'The Daughter-in-law Syndrome' came in at #49 in ReadFree.ly's 50 Best Indie Books of 2015. Her latest novel 'Repent at Leisure' was shortlisted for the Escalator Writing Contest and has been published by the independent publishers Creativia. If you would like to read even more about the author, please check out Creative Director Ian's interview at the excellent author site www.koobug.com below, and also her Amazon author page and other interviews given below. Thanks to all concerned for the interviews. http://theunleashedreviewboard.wordpress.com/2014/06/15/mr-controversy-gains-greater-insight-into-june-author-spotlight-stevie-turner/ for The Review Board's interview of me. http://theopeningsentence.wordpress.com/2014/06/27/author-interview-stevie-turner/ for Indie author Chris Harrison's interview of me. http://www.amazon.co.uk/Stevie-Turner/e/B00AV7YOTU/ Stevie's Amazon author page. http://kindleninjareviews.blogspot.co.uk/2014/08/welcome-to-episode-23-of-conversations.html KindleNinja's interview of me. http://www.bang2write.com/2014/11/5-reasons-to-write-novels-by-stevie-turner.html Thanks to Lucy V Hay ofwww.Bang2Write.com for this one. Thanks to Mercedes Fox for this one from January 2016 . Find out what I want to do to change the world! "A House without Windows by Stevie Turner is the story of Dr. Beth Nichols who was held captive for ten years together with her daughter, Amy, who was born in captivity. Shortly after she fell pregnant with her fiancé Liam's child, Beth was kidnapped by an ex-patient, with little hope of escaping. The story is told from different perspectives and is narrated in both first person and third person. The book starts with Amy's perspective where we find out about the house (room) where the two are kept locked and their daily routine through an innocent child's eyes. In Beth's story we find out more about the kidnapping and how she managed to escape. From Liam's perspective we learn that he is torn apart between his new life with his partner and their toddler, Toby, and the hope of being reunited with the love of his life and their ten-year-old daughter of whom he knew nothing. Later on in the book, we get to read Edwin's perspective as well as Joss', all leading to one question: will Beth get a second chance to live her life surrounded by loved ones? I enjoyed reading A House without Windows from different perspectives as Turner captures perfectly the inner thoughts and feelings of the characters. Amy's perspective is heart breaking as the captivity is the only reality that she knew at her age. The book keeps readers interested throughout and, as the perspectives change, you want to know more about each character and how the story will come together in the end. The book has all the ingredients of a good read: positive characters, a villain, suspense, authentic dialogues and a narrative style that keeps readers interested to the very end."